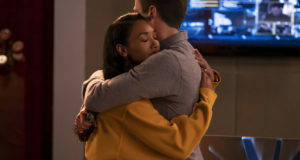 Home / News / A Maskless Flash Action Figure Is Coming! 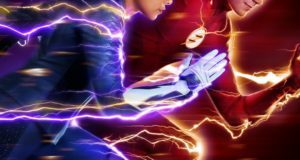 A Maskless Flash Action Figure Is Coming! 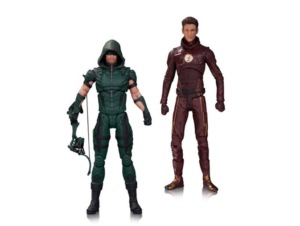 Entertainment Earth is now listing an action figure 2-pack featuring a maskless Barry (Grant Gustin) as well as Stephen Amell’s Green Arrow costume from Arrow Season 4. The Arrow and the Flash make a great team, even as action figures! 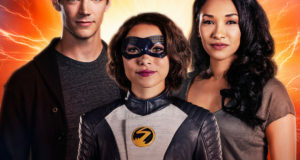 This Flash and Arrow TV Action Figure 2-Pack features the vigilantes of Star City and Central City. Standing about 6-inches tall, theses heroes are a must have for any fan of the Arrow or The Flash TV shows! The 2-pack is due in November but you can pre-order yours NOW!